⇨ This does not only fit in your outdoor camping tools, as it is also worthy as a daily tool for grooming your nails. You can keep it as a key ring attachment so you can bring it everywhere. ⇨ This handy tool has a bottle opener, eyeglass screwdriver, medium screwdriver, large screwdriver, finger nail cleaner, thread cutter, tweezers and nail file. 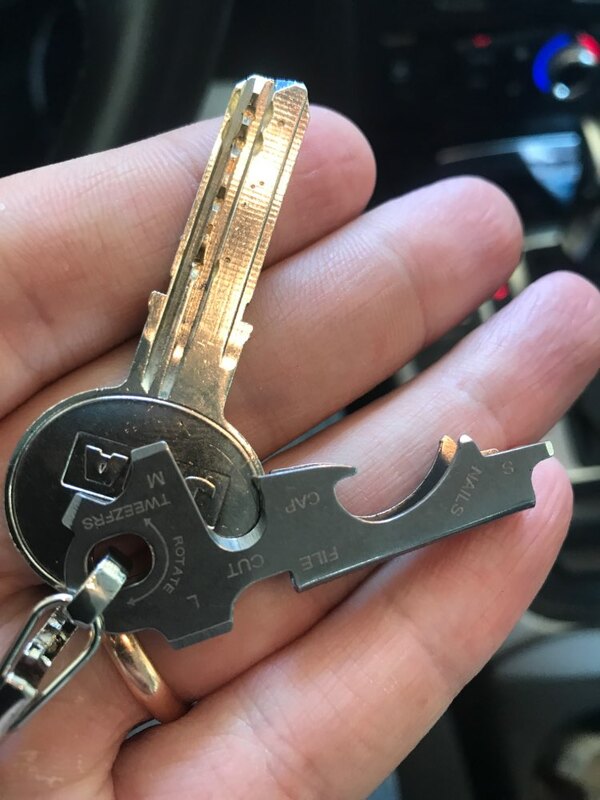 An 8-in-1 Multi Tool Key could be the solution to your fast-paced lifestyle since you can take this along with your car and house keys. 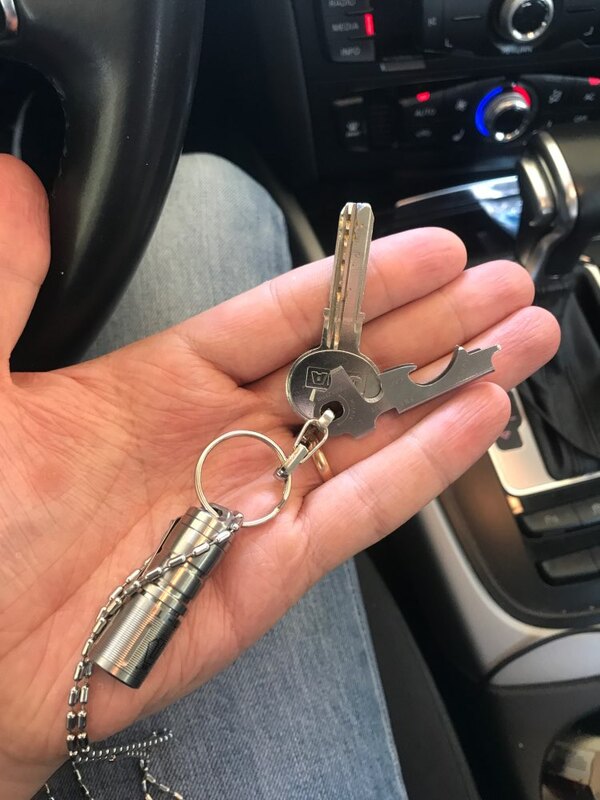 ⇨ As a key ring attachment, this also weighs just like your standard keys. It has a stainless-steel material with either a black or a silver color. It is made of a high grade stainless steel which is durable and long lasting. The size is only at 5 cm x 2 cm. For some reason thought that it would be a little more. AND so, everything is fine. Was almost 2 months. packed in a bunch "пупырки" when мелком this order. and separate carabiner завёрнутый. thank you.